Well, it finally happened. After spending all of August ignoring the commercials and radio spots, after failing to read the color inserts of the Wednesday and Sunday paper, after brushing off the conversations that all your friends and family were trying to have with you, it happened. School started! Now you’re at your desk, dreaming of your bed and your favorite television shows or envisioning yourself on an early morning walk in the woods with a great cup of coffee and a friend, while the professor drones on about Thomas Paine’s Common Sense. August is over, it’s September. Welcome back. Because you weren’t paying attention you more than likely rushed out to the store the night before school started and dug through the near empty bins, picking over what was left of the supplies you so desperately needed. Now you have a drab brown knapsack, filled with 4 ring binders, wide ruled loose leaf, #3 pencils, green ink pens and a trapper keeper with a picture of a puppy hugging a kitten. It’s cute, but it’s not how you wanted to start the year. But, don’t worry. Just because you let the first day of school pass you by, doesn’t mean you can’t still get the stuff you need and Executive Essentials is here to help. The good folks at Executive Essentials put together a whole online section dedicated to the back-to-school crowd and even though it’s been picked over, there is still a ton of great stuff left to get you back in the swing of things. So cast off that 4 ring binder and that drab brown knapsack and get some school supplies that make you excited to learn. The backpack is the single most important piece of equipment for your school day. Don’t just settle for a bag – get a pack. Get something that speaks to your personality, like a pack from North Face that can handle being stuffed to the gills with textbooks and still rock the trails on the weekend. Or something more eloquent and functional like a leather backpack from Passage 2 that can tote your books and still meet up at the mall for some exhibition shopping. We have it all. 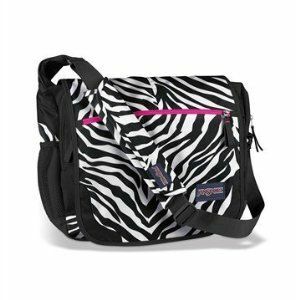 If you think backpacks are so 2011 then slip on a messenger bags. 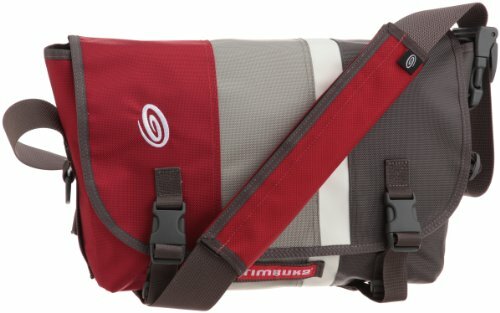 For too long these one-strapped bags were restricted to use by those who rode fixed gear bikes. But, no longer. Now anyone is allowed to tow their homework around in a single strapped messenger bag. Plenty to choose from so don’t hesitate to browse the selection. A good rollerball pen will give you something to write about. At Executive Essentials, there are plenty to choose from. The good thing is that most are priced to sell. Reasonable prices on high-quality pens are hard to find but that’s all we have here. Take a look at Lamy’s selection of special and limited edition pens where you’re sure to find a good looking pen for under $30 that will give you a school years worth of writing and no hassle. Rollerballs, not your thing? Then go ahead and get yourself a trusted ballpoint pen. But, don’t go buy a box of plastic and ink for $5. Instead, spend under $25 and get yourself a pen that can take you places. The Snapper Tornado in Safety Yellow from Retro 51 is just one of many ballpoints in the EE catalog. So go ahead and hunt up some back-to-school savings on supplies you need, but forgot to purchase. We’ll get you all set to go.